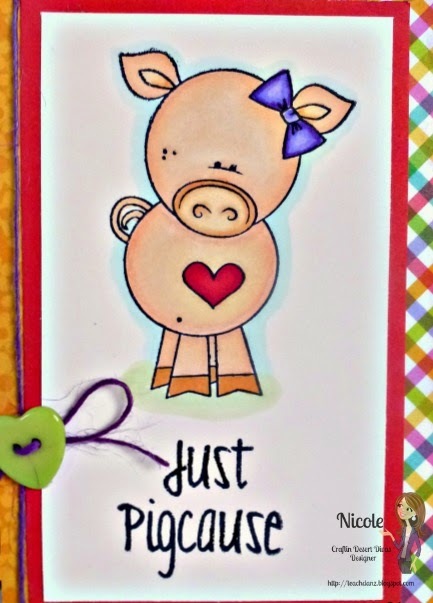 Nicole here today and I have a cute card to share with you using the CDD "Just Pigcause" stamp set. I used my Spectrum Noir markers to color in this cute little pig. This card is perfect for any occasion - I like having some more generic cards like this in my stash for those last minute card needs. 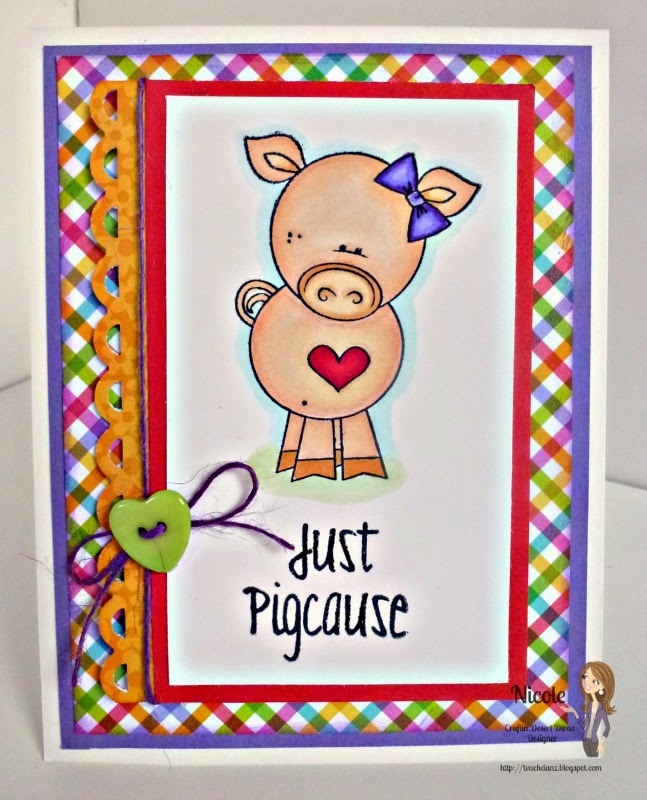 The "Just Pigcause" stamp set can be found in the Craftin Desert Divas shop.